The Vikings got off to a little bit of a rough start defensively this season, but the unit seems to be right back on track. Last season, the Vikings allowed opponents to convert only 25.2 percent of their third downs — the lowest rate since the league started tracking the statistic in 1991. [Whatever] concerns there were about the Vikings struggles on third downs early this season are long gone. According to Goessling, the Vikings started the season by allowing teams to convert 35.5 percent of their third-down attempts but are now “ahead of last year’s pace” and have dropped the season-long rate to 23.4 for the season. Goessling quoted Vikings Head Coach Mike Zimmer, who told Twin Cities media members on Monday that he would like to see the team do better on first and second downs but acknowledged the success on third. Legendary broadcaster Al Michaels has seen a lot over his decades of U.S. sports coverage. But even he was taken aback by the Minneapolis Miracle play that lifted the Vikings over the Saints in the Divisional Round of the playoffs in January. The Vikings beat the Saints 29-24 at U.S. Bank Stadium in January on Stefon Diggs’ 61-yard reception from Case Keenum on the final play. FOX broadcast the game, but Michaels was watching intently since he would be handling the Super Bowl three weeks later at U.S. Bank Stadium along with analyst Cris Collinsworth. Michaels also called the “Miracle on Ice” game during the 1980 Winter Olympics in Lake Placid, New York, when the U.S. Men’s Hockey team defeated the Soviet Union, a four-time defending gold medalist. Michaels said he was “thrilled” to get this weekend’s Vikings-Saints game for Sunday Night Football. 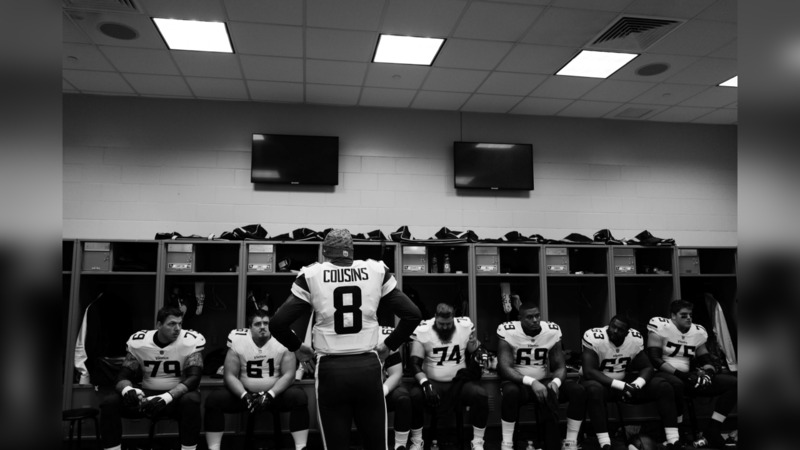 View exclusive black-and-white images from the Vikings 37-17 victory over the New York Jets at MetLife Stadium. According to analytics site Pro Football Focus, a pair of Vikings cornerbacks stood out against the Jets Sunday. PFF posted a graphic on Twitter Wednesday that showed Trae Waynes allowed an incredible passer rating of – get this – 0.0 when targeted. Waynes topped the Week 7 list, coming ahead of Arizona’s Patrick Peterson (2.8) and Denver’s Bradley Roby (10.7). Coming in at No. 4 on the list was Vikings rookie corner Holton Hill, who snagged his first career pick on Sunday when he stepped in for an injured Xavier Rhodes. Hill allowed a passer rating of 24.0 when in coverage. Rams CB Troy Hill rounded out the rankings at 24.3.